Require participants to complete all to-dos in each step before moving to the next or allow them to skip around. We recommend enforcing the sequence (default) to prevent users from getting lost. Require participants to wait for a fixed amount of time between when they mark step done and when they can start the next step. By default each module is called a "step". You can change it to one of the above (coming soon). There are, fundamentally, just three kinds of people. Observe their differences. What Makes Each Character Effective? Use what you've learned to identify core energy types in people, both real and fictional. Explore the characteristics of each type. Understand the role of motivation in determining core energy. Learn about the many benefits of the MRE Framework. Share with the Mavens, Relaters, and Evangelists in Your Life. Take the 6 Day Challenge and deepen your MRE journey! 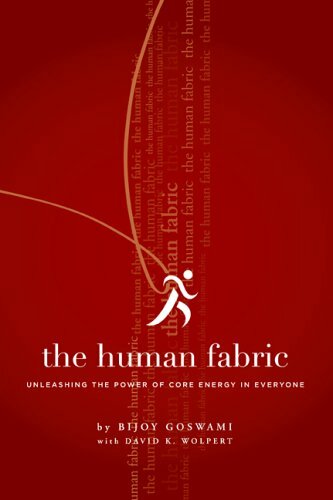 This Siminar, based on Bijoy Goswami's book "The Human Fabric," introduces the concept of the three types of core energy that reside in all people.